who died March 29th 1886. Aged 62 years. 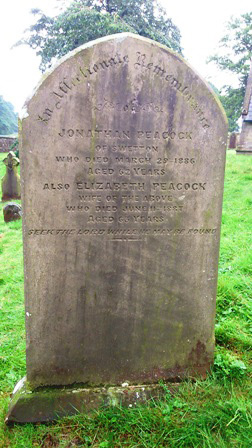 Also Elizabeth Peacock wife of the above who died June 11th 1887 aged 63 years.